Learn this old art form which is sometimes now also known as hand lettering and you will be amazed at what you will be able to achieve! Martin is passionate about this art. For more information contact Martin on 9562 1247 or Frendz Art & Craft Supplies. All calligraphy supplies are available at the shop at a discounted price. 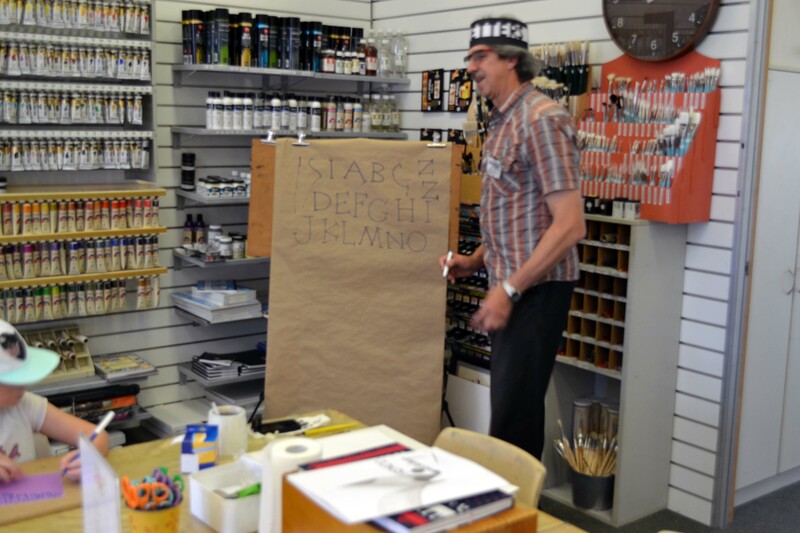 We are now busy with Calligraphy workshops every Monday evening from 6 – 8 pm. Please contact Martin Dickey at tel 95621247 or email dicarch@iinet.net.au to arrange with him. 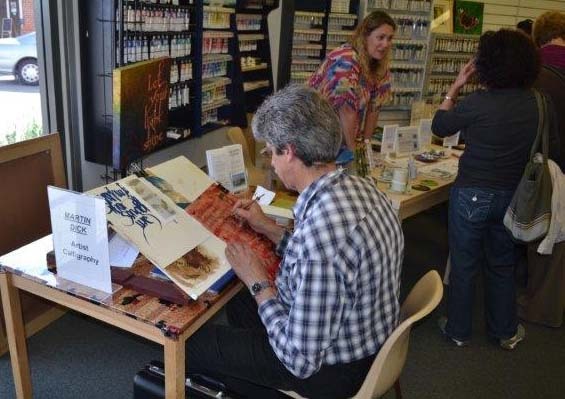 I believe that there will be room to join the others on Monday evenings from 6 to 8 pm at frendz Art and Craft Supplies. I was wanting to learn Calligraphy and hoped you had some space in your classes. Yes, the class is always open to new members. We have an established core and at present two new students who are picking up the ‘hands’ as we go along. Each new hand is presented in a simple manner so that less experienced calligraphers can learn from the beginning. Our next challenge is to learn the Uncial hand in all its variations and historic setting. Please join us from 6 to 8pm any Monday. If you let me know first on 9562 1247 I will be able to prepare for you. Please contact Martin Dickey at tel 95621247 or email dicarch@iinet.net.au to arrange with him. There will be room to join the others. I would be keen to undertake some calligraphy classes on Mondays. Could you please let me know if you would have availabilities?